Shrewsbury, MA – Mass. 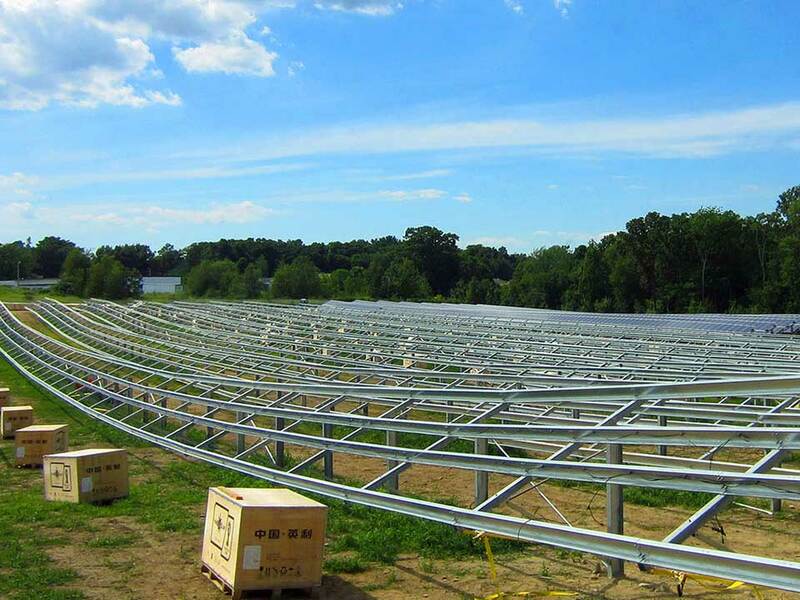 Electric Construction Company, headquartered in Waltham, MA, has been awarded and is underway with electrical construction of the 3.4MW ground-mount solar farm at the Shrewsbury, Massachusetts landfill for the Town of Shrewsbury. A crew of 35 IBEW Local 96 is providing installations for the large-scale solar project, which is comprised of an RBI ground-mount racking system designed to withstand 100mph wind speed and 55psf snow loading and 11,880 SunTech solar panels. Mass Electric Project Manager Kevin Conlon and Local 96 Foreman Michaels are supervising the project team. Construction began in early April and the project is targeted for completion in fall 2018. The Local 96 contractor is teaming with RBI Solar, based in Cincinnati, Ohio.